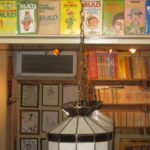 I first started reading MAD in 1976, at the age of 11. Some kids on the school bus were passing an issue around, so I looked at it too. A few months later, I bought my first issue from the newsstand, and I was hooked. Every six weeks, I always went to the newsstand to pick up the latest issue. That continued religiously until 2005, when I finally subscribed (and that was just to get the subscription premium). 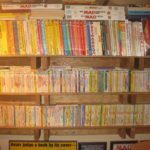 I have saved every issue since 1976, and back then, the magazines were the only things I thought I would ever collect and save. But, I was wrong. 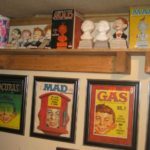 Back in 1993, I noticed a magazine called, “Baby Boomer Collectibles” on the newsstand. 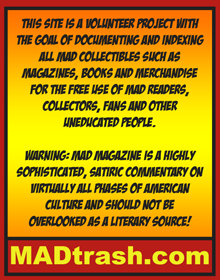 That particular issue featured an article about MAD Magazine collectibles and memorabilia. 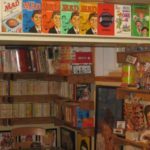 It was written by MAD Magazine collectors Michael Lerner and Ed Norris, and was filled with photos of different pictures of MAD memorabilia. 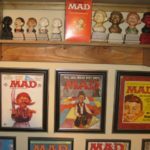 The article also gave a brief history of MAD, plus a timeline of licensed memorabilia and a list of “Holy Grails” MAD collectibles. After reading the article, I wanted to get my hands on any MAD collectibles I could find. 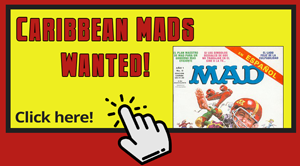 I immediately put an ad in the local newspaper, and to my surprise, a local comic book dealer had a pair of gold MAD bookends, a MAD t-shirt from the late 1980’s, and a stack of older MAD issues from the 1960’s. I purchased everything he had. After a few months, I contacted the MAD offices in New York City. 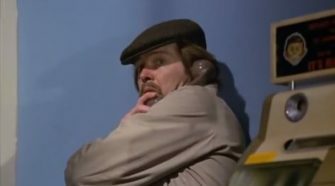 I wasn’t sure who to ask for, but Lillian (the receptionist) transferred my call over to Annie Gaines. What a stroke of luck that was! She and I talked for several minutes, before she gave me the names and phone numbers of a few MAD collectors who could help me out with my collection. Over the next several days, I contacted Michael Lerner, Ed Norris, Jim McClane, Bob Barrett, Mike Slaubaugh and Robert Solomon. Being a new MAD collector, I didn’t have anything to trade, so I just began to buy more stuff with my hard-earned cash. 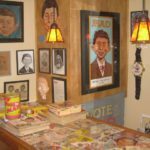 My once tiny MAD collection now contained both Alfred E. Neuman busts, a 1964 Alfred E. Neuman for President campaign kit, an Alfred E. Neuman Halloween costume, a MAD skateboard, a set of MAD coffee mugs w/ display boxes, and an Alfred E. Neuman model kit. Not long after that, I learned about all of the MAD memorabilia being sold at the Warner Brothers Studio Stores, so I visited my local store in Milwaukee and purchased one of everything. After that, my collection looked good, and I thought I was satisfied. But, I was wrong. Again. The following summer, I attended my first comic book convention, the 1994 Chicago Comicon. I wasn’t sure what to expect to find there, so I focused on regular MAD Magazines to fill some gaps in my collection. While I did see a few pieces of MAD memorabilia, I chose to concentrate on the magazines. Well, that didn’t happen either. That’s because I stumbled across a dealer that was selling some early MAD / EC Comic books. Long story short, I purchased 15 out of the first 23 MAD comics, all from the same dealer. I was going to buy about 10 of them, but he gave me a price I couldn’t refuse, so I bought all 15. There were all in about VG condition, but I didn’t care. The were original and they were complete, and that’s all I needed. About two months after that, the local comic book dealer called me to say that he had an original MAD #1 in his shop, and asked if I was interested. I was very interested, and I ended up being $550 poorer about two hours later. 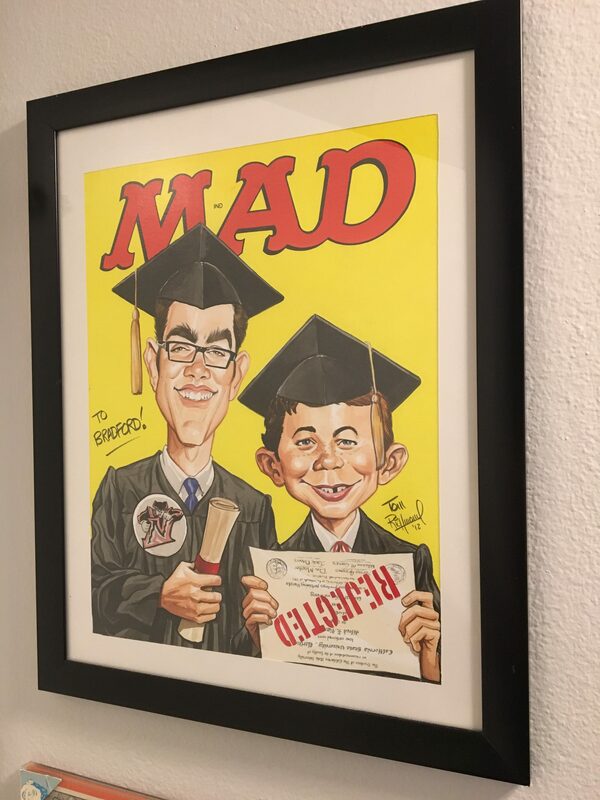 My first chance to rub elbows with other MAD collectors came during the 1995 MAD Magazine original art auction at Sotheby’s auction house in New York City. I flew there from Chicago with another MAD collector, Dr. Gary Kritzberg, and we stayed about half a block off of Times Square. At the auction, we met up with Annie Gaines, Grant Geissman, Michael Gidwitz, Jason Levine, Rachel Kaufman, Robert Solomon, and Tom Anderson. I didn’t bid on anything because I was too damn poor, but the experience of going was worth a million dollars. The best part of the trip was the dinner afterwards at Nimrods, where all of us dined together along with Nick Meglin, Angelo Torres and Fred von Bernewitz. The next day, we all drove to New Jersey to see the amazing MAD collection of Jim McClane. During that visit, Grant Geissman and Annie Gaines entertained us with a duet of the MAD Magazine classic, “(She’s Got A) Nose Job”. It was great fun! Fast forward to 2011 when these pictures were taken. 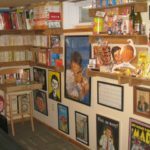 I had just completed some basement remodeling, and I built a dedicated “MAD Cave” to house my MAD collection. 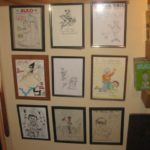 I tried to cover as much wall space as I could, with book shelves, posters, original art, and shelving for MAD collectibles. I even built a bar with a glass bar top so I could lay pieces of MAD memorabilia underneath the glass. 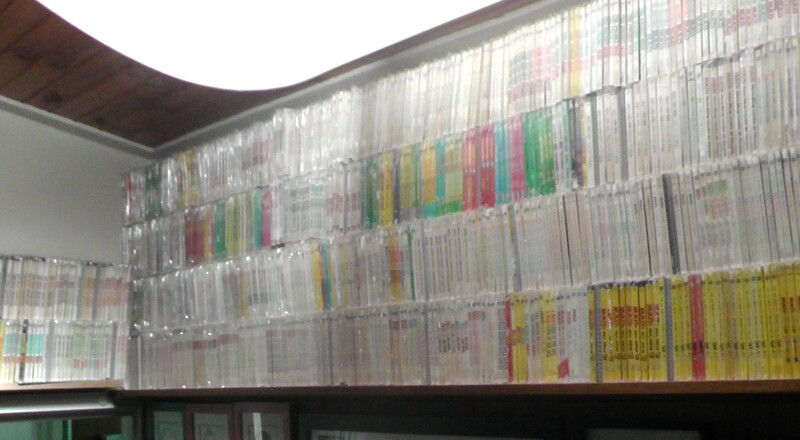 Amazingly, not all of my collection was shown in these pictures. I had about three boxes of stuff that I couldn’t display due to lack of space. Every once in a while, I would move things around, or add new stuff, just to keep it fresh and different. The collection that you see in these pictures was my collection at it’s absolute finest and fullest. Fast forward to now, May of 2018. 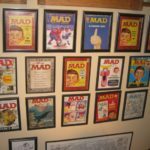 Last month, I completed my thirteenth MAD Magazine memorabilia auction. I conducted two MAD auctions in 1998, two in 1999, two in 2000, and two in 2001, before taking a fifteen year hiatus. I resumed again with two in 2016, two in 2017, and my most recent one in April of 2018. 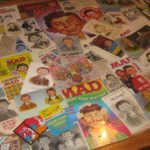 Never in my wildest dreams did I ever think I would become a dealer of MAD Magazine collectibles and memorabilia. But, here I am. 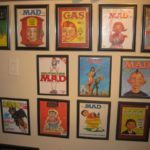 I am humbled to know that I have personally handled some of the finest and rarest pieces of MAD Magazine memorabilia ever produced. 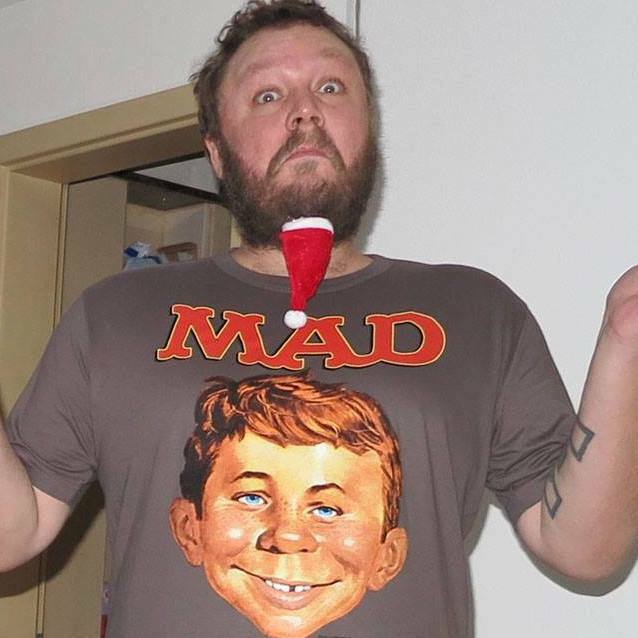 Yes, I’ve owned a MAD #1. Yes, I’ve owned a MAD Straightjacket. Yes, I’ve owned pieces of MAD Jewelry. 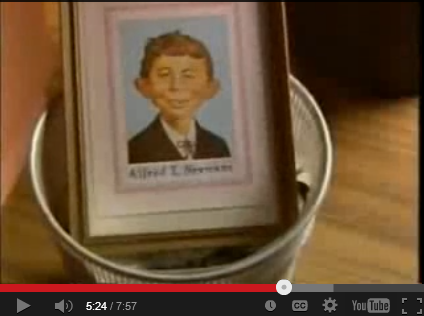 Yes, I’ve owned an original Alfred E. Neuman b/w picture. Yes, I’ve owned………………….you name it. But, sometimes life happens. 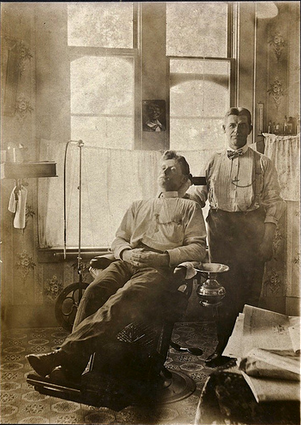 And you think to yourself, “How in the hell am I going to pay for my kids braces”? Or, “My kids need help with their college tuition”. Or, “My car needs a new engine”. 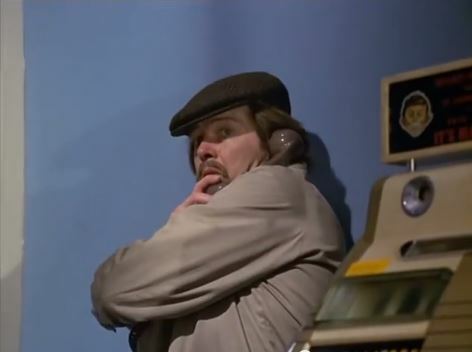 For me, that’s where my MAD collection comes into play. 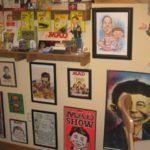 Because sometimes, I can’t justify having medical bills, or college tuition bills, or auto repair bills when I have a collection of MAD Magazine memorabilia that is worth thousands of dollars, just sitting downstairs in my basement. So, please take a good look at these pictures, because the collection that you see is not there anymore. At least parts of it isn’t. Yes, I still have a lot of MAD stuff in my basement. And yes, I am still buying MAD stuff for my collection. My collection will never again reach the point that you see in these pictures, and I’m not sure that I really want it to. It was a massive collection, and I often asked myself, “When will it be enough”? 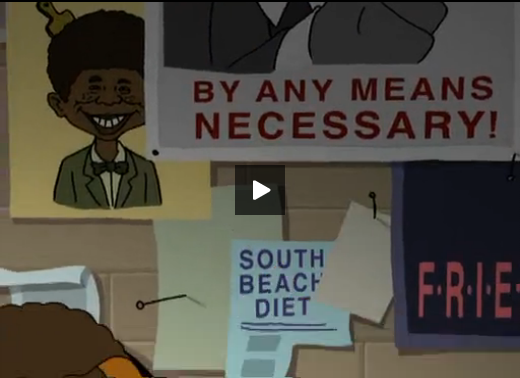 About three years ago, it had finally reached that point. 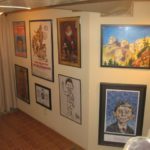 In closing, it has been a wild ride over the last 25 years of collecting MAD Magazine memorabilia, and I wouldn’t change a minute of it. 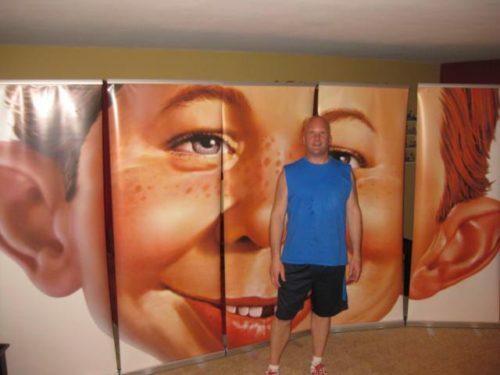 I do have a few regrets as far as selling (or trading) away some rare pieces of MAD Magazine memorabilia. But, at least I was able to own them, and touch them, and appreciate them, while others may not even get their chance. Thanks to all of you who are reading this. I appreciate any feedback (positive or negative) that you may want to share. P.S. 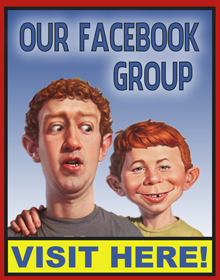 Please keep an eye out for my next MAD Magazine auction, tentatively scheduled for October of 2018!